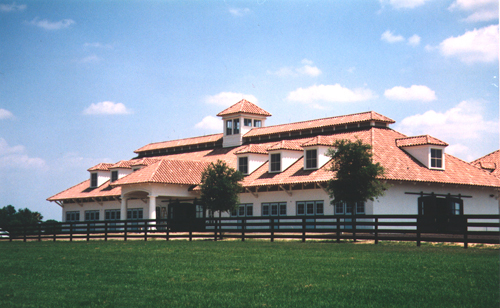 Meralex Ranch: Brandon, FL - Blackburn Architects, P.C. : Blackburn Architects, P.C. 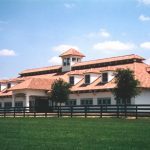 This private equestrian facility includes a 14-stall barn, three-bedroom staff residence, and a service wing for hay, bedding, and equipment storage. 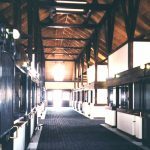 Designed in a French Colonial style indigenous to the South, the barn and residence feature coral stone water tables, stucco wall finishes, and barrel tile roofs. 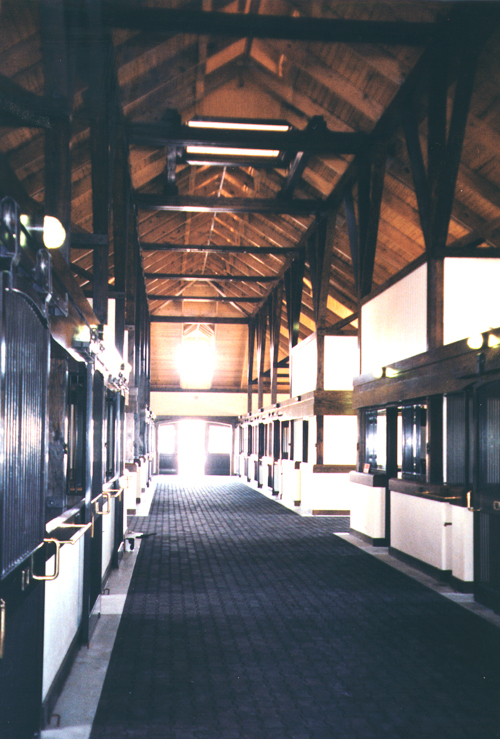 The generous use of dormers provides abundant natural light to the barn stalls and aisles and to the second floor of the residence. This project was featured in Elle Decor magazine.